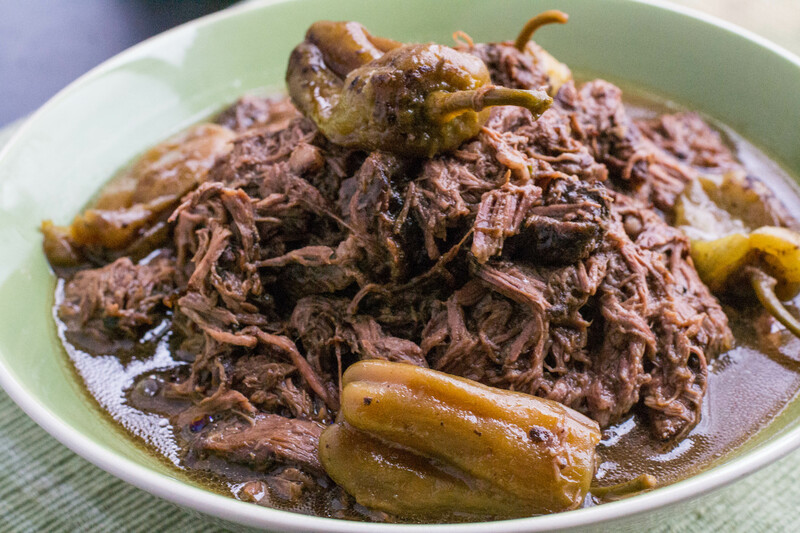 Mississippi Roast - What the Forks for Dinner? Mississippi Roast ……where have you been all my life?????? I am not usually a fan of a lot of prepackaged mixes……..color me corrected!! Not only do the packets make this an easy, easy dish to prepare, but the taste is out of this world! This recipe has exploded on the internet. 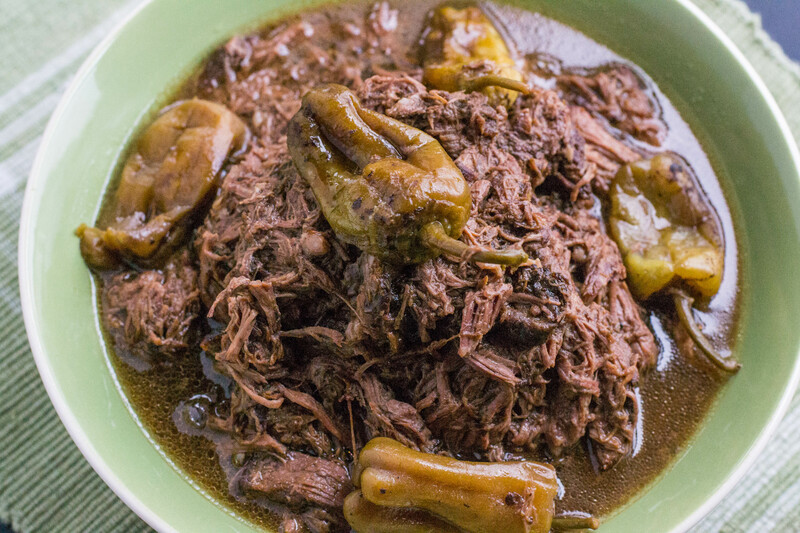 According to the New York Times, the recipe was created by a woman named Ms. Chapman in Ripley, Miss. about 15 years ago. It was slowly passed around by friends and family, and eventually made it’s way onto the internet. As a Pinterest junkie, I can attest to seeing Mississippi Roast all over in various forms. My recipe is another in a long list. I made a few minor adjustments,using red wine instead of water. I love the taste it infuses into beef. Don’t worry the alcohol is cooked away. I also added a few tablespoons of pepperoncini juice, I think it gives the roast a little extra kick. If you are a lazy cook like I sometimes am, this is perfect for a lazy day when you want a really great tasting meal without a lot of effort. 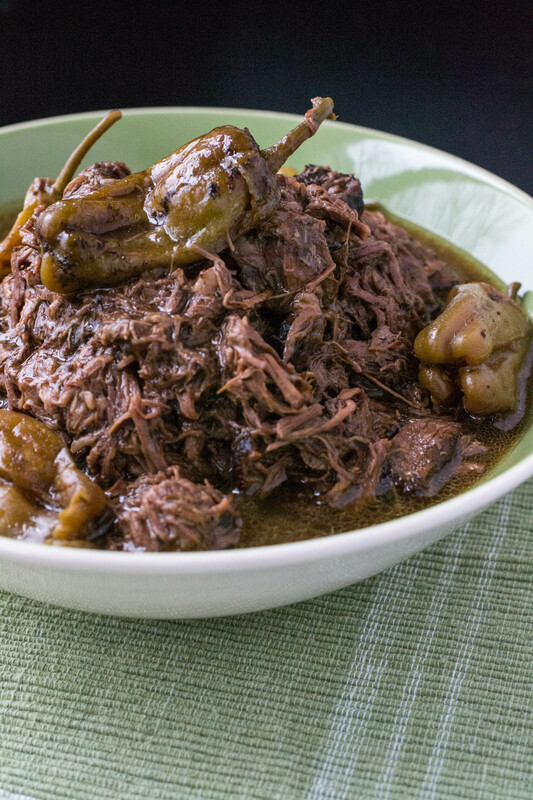 Mississippi Roast is a bowl of heaven over mashed potatoes, but it makes an equally amazing sandwich the next day………yeah, there are enough leftovers for a sandwich. This would make a perfect Super Bowl sandwich…….cook it and just keep it on warm and let folks serve themselves. 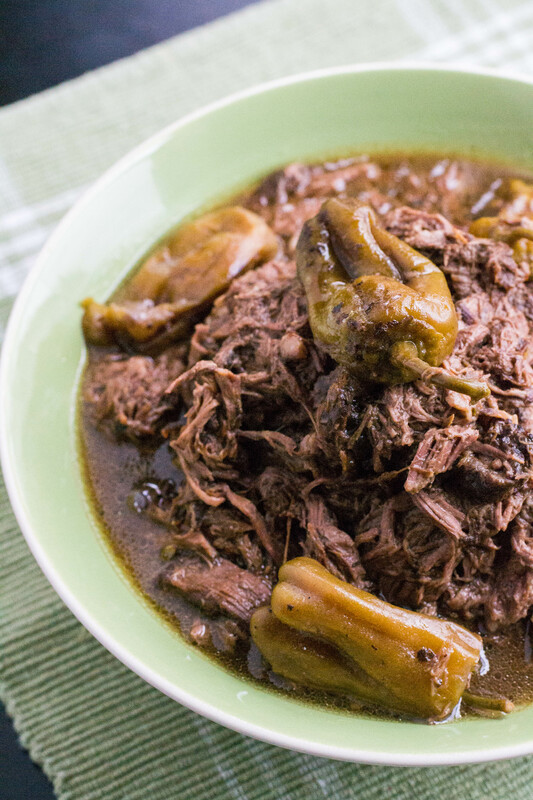 No matter how you try it, Mississippi Roast it will be one of your go to recipes. Just a little tale on myself……..every time I typed Mississippi…..I spelled it out in my head…….lol. In a large skillet sprayed with non-stick cooking spray brown all side of the roast over medium high heat. Add ¼ cup of wine and pepperoncini juice into your crock pot. Place the browned roast on top. Sprinkle roast with the dry ranch seasoning mix, then sprinkle with dry au jus mix, place 6 tbsp. of butter on top of the roast, and finally place 5-6 pepperoncini around the roast. Shred roast and serve with gravy.